A stylish set of felines, the Black & White Leopards promise an instant impact in your home and measure height 17cm x width 10cm each. 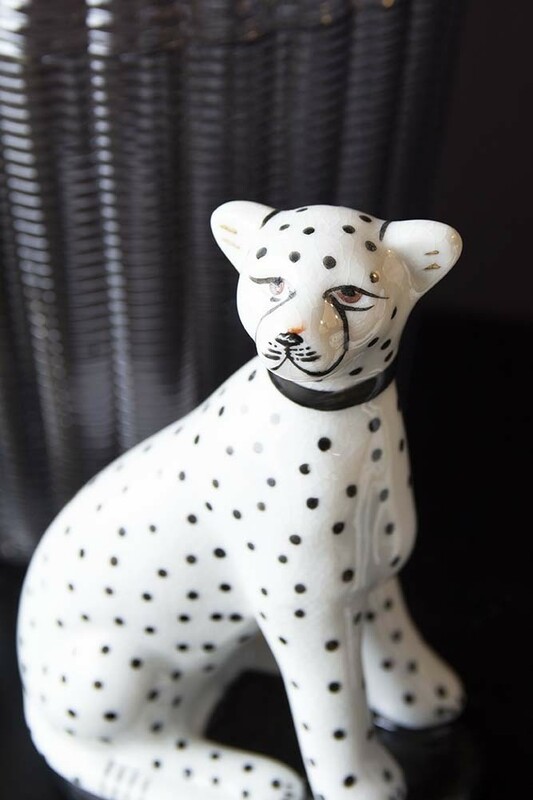 Sat opposite one another, the decorative leopards are designed with a classic, white glazed finish, bold black spots and hints of glamorous gold. Designed to create an effortlessly chic display, the black & white leopard ornaments are made for monochrome lovers everywhere. From the catwalk to the home, leopard is the pattern of the moment and these fabulous felines provide a unique, black and white take on the luxe leopard look that we just can’t get enough of! 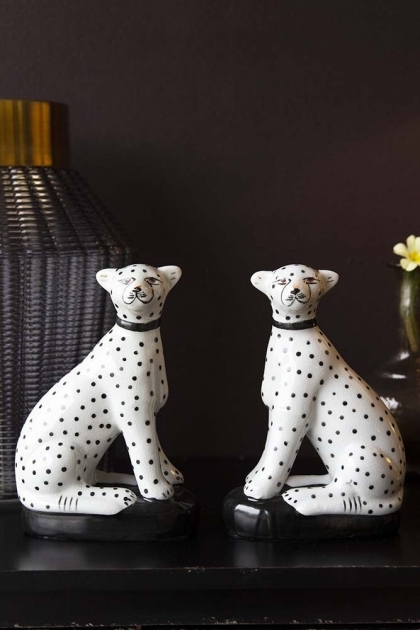 But don’t be fooled by their cute and quirky faces, the set of 2 leopards ensure a fierce style statement in any space. Sitting pretty on a subtle black base, whether you choose to style the Set Of 2 Sitting Black & White Leopards together or apart, these big cats deserve to be seen! Display the leopard statue against dark painted walls for a showstopping contrast or style the leopards in a matching monochrome scheme for your guests to spot. Perfectly perched on any shelf or surface, the pair of sitting leopards can be placed anywhere from the console table to mantelpiece, coffee table and maximalist display cabinets.